What is Magick? Several definitions float into my mind, but none of them do it full justice. The world is magical; we might get a sense of this after climbing a mountain and looking down upon the landscape below, or in the quiet satisfaction at the end of one of 'those days' when everything has gone right for us. Magick is a doorway through which we step into mystery, wildness, and immanence. We live in a world subject to extensive and seemingly, all-embracing systems of social & personal control that continually feed us the lie that we are each alone, helpless, and powerless to effect change. Magick is about change. Changing your circumstances so that you strive to live according to a developing sense of personal responsibility; that you can effect change around you if you choose; that we are not helpless cogs in some clockwork universe. All acts of personal/collective liberation are magical acts. Magick leads us into exhiliration and ecstacy; into insight and understanding; into changing ourselves and the world in which we participate. Through magick we may come to explore the possibilities of freedom. Phil Hine into something self-important and pompous. Abstract spiritual spaces have been created in the midst of which tower the Babellike lego constructions of 'inner planes', spiritual hierarchies and 'occult truths' which forget that the world around us is magical. The mysterious has been misplaced. We search through dead languages and tombs for 'secret knowledge', ignoring the mystery of life that is all around us. So for the moment, forget what you've read about spiritual enlightenment, becoming a 99th level Magus and impressing your friends with high-falutin' gobbledygook. Magick is surprisingly simple. What can it offer? 1.A means to disentangle yourself from the attitudes and restrictions you were brought up with and which define the limits of what you may become. 2.Ways to examine your life to look for, understand and modify behaviour, emotional and thought patterns which hinder learning and growth. 3.Increase of confidence and personal charisma. 4.A widening of your perception of just what is possible, once you set heart and mind on it. 5.To develop personal abilities, skills and perceptions - the more we see the world, the more we appreciate that it is alive. 6.To have fun. Magick should be enjoyed. 7.To bring about change - in accordance with will. 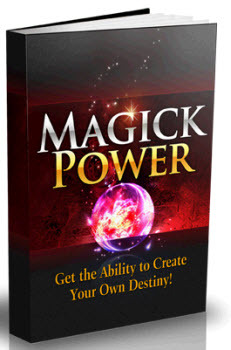 Magick can do all this, and more. It is an approach to life which begins at the most basic premises - what do I need to survive? - how do I want to live? - who do I want to be? - and then gives a set of conceptual weapons and techniques for achieving those aims. 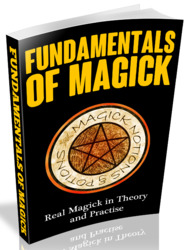 Chaos Magic is one of the many ways of 'doing magick', and this booklet is a concise introduction to the Chaos approach.